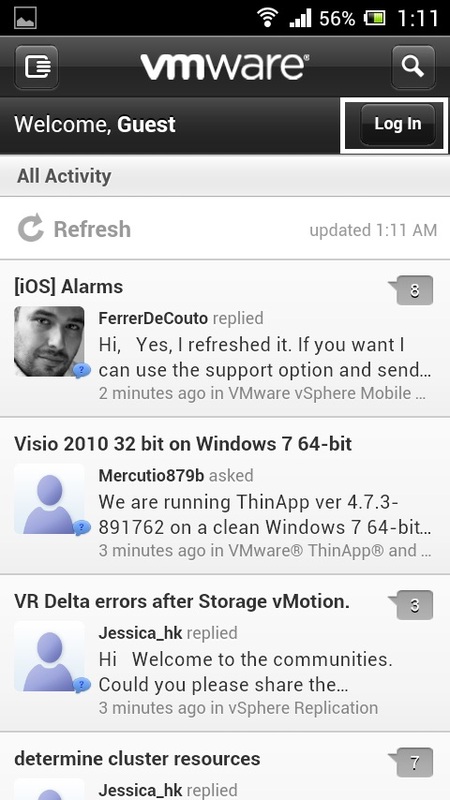 In this blog post we will see how to access VMTN (VMware Technology Network) Community through your Android Mobile Device. As an active member of VMTN i always thought it would be nice if there was a way to access it when i was on the GO. I, as all of us do, google-d to see if there’s a way i could do it. There was very less information i got and nothing pointed me in the right direction (One of the reasons for writing this blog). Then i gave up on the idea. Forgot about it for a while. Then one day while exploring through the options i found that there was a tab called “Mobile” in my “Edit Preferences“. This again woke up the curiosity in me. After a lot of trial and error i got it all figured out and working. 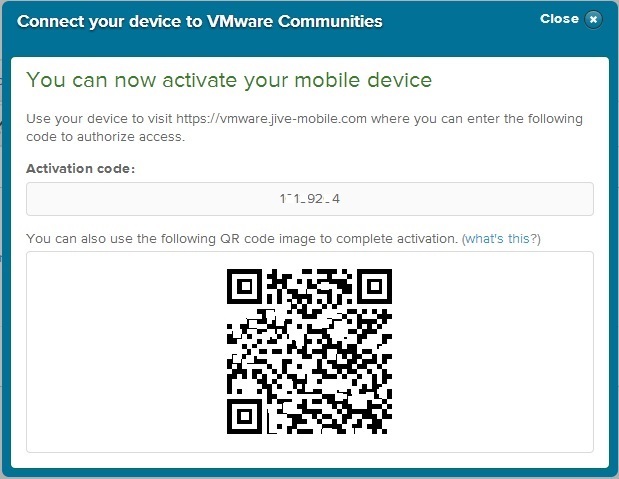 So here, in this blog i will show the steps involved in configuring your mobile device to access VMTN Community. Login into your account and go to your Account main page. 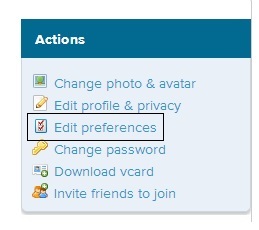 On the Right Sidebar you will find Edit preferences. Once you select it You will get the the General Preferences and Mobile Settings. Once you Select it. 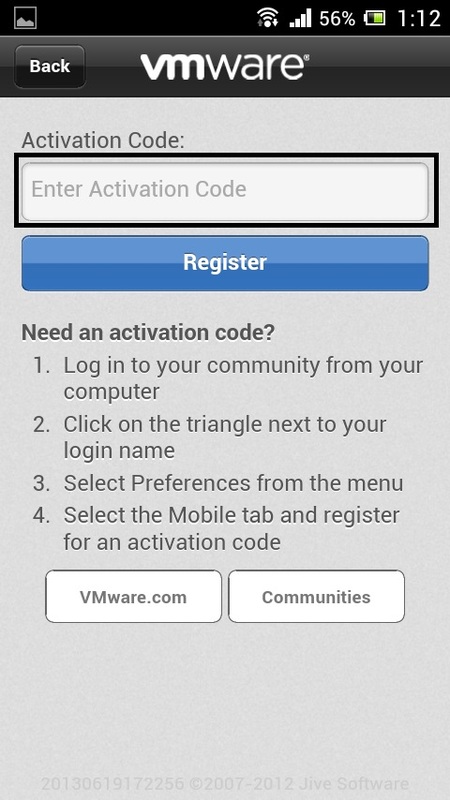 You will be prompted to Enter a device name for your Android device so that you can get an activation code. Once you have entered a Name, Click on Get Activation Code. This will generate a Activation Code and a QR Code that is valid for 20 Minutes since you clicked on the get activation code link. 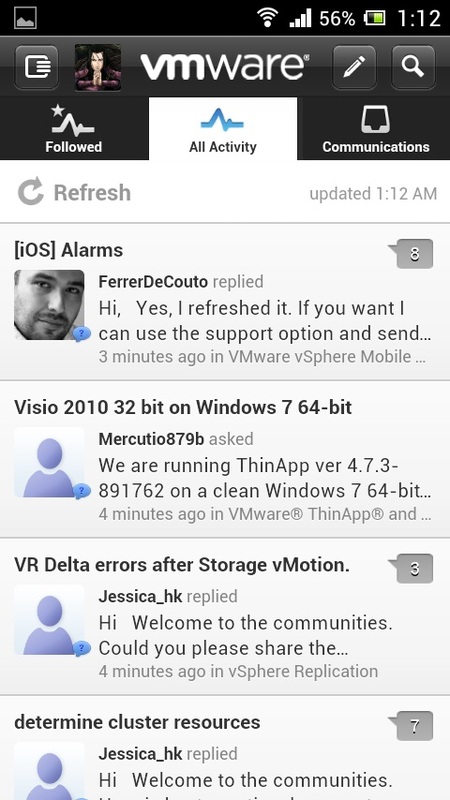 Since the community on Mobile is supported on Jive software. You can go to Google Play store and download and install the Jive Software. 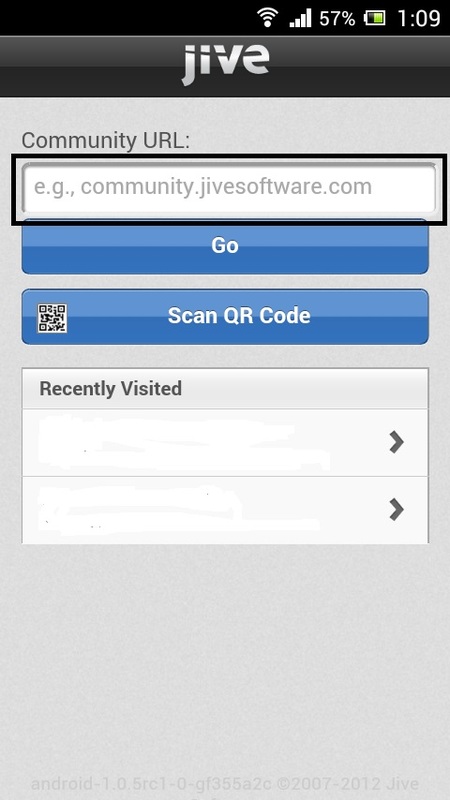 Now Open the Jive Software on your phone. Once you open the software you will be prompted to enter a Community URL. Now Enter communities.vmware.com and click GO. This will take you to the VMTN Community Page. Now Enter the Activation Code that you obtained from the community. The Software gives you the capability of viewing your communications, followed activity and any recent Activity. 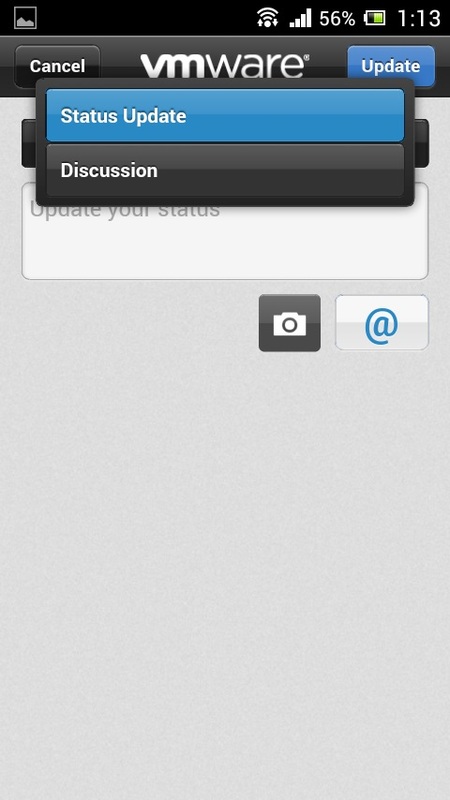 It will also let you update the status and start a Discussion. Enjoy being part of one of the Awesomest community that’s out there while you are on the go. Thus we come to the end of our community over the phone journey.